Lumines TALIA M3 is one of the mounting profiles designed for TALIA surface profile. 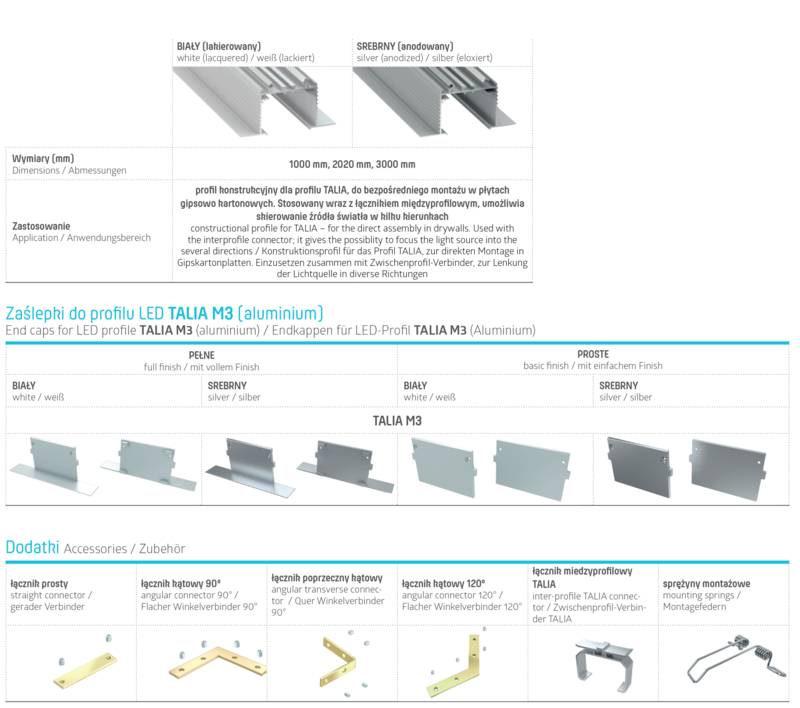 It is a constructional profile for TALIA - for the direct assembly in drywalls. Used with the interprofile connector; it gives the possibility to focus the light source into the several directions.